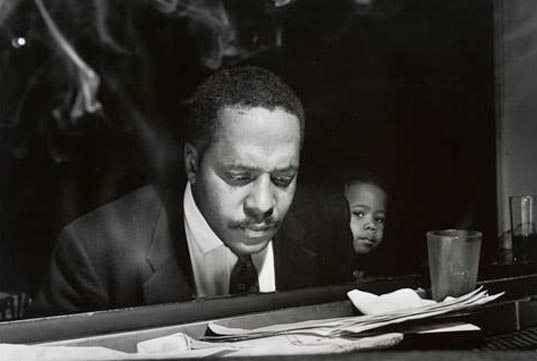 “Bud” Powell’s troubled life is well known from the film ‘Round Midnight‘. But whatever his personal demons were, there is no denying his genius as a pianist. Thelonious Monk was an early friend and mentor who introduced Bud to the other Bebop musicians that hung out at Minton’s Playhouse, the same place where my father used to jam, sometimes all night long. Thelonious and Bud were the dominant pianists of the movement. “Dance of the Infidels” represents his jaunty, irreverent style of improvisation at its best. Try listening without bobbing your head in rhythm. Near impossible. As a bonus, this song features a very young Sonny Rollins, a tenor saxophonist who was a favorite of mine while I was in high school.